For the past decade or so, millennials have been the hot topic in business management. These employees, born between 1980 and 2000, have been examined inside and out, and really, the conversation seems stagnant. All the talk about generations is fine and dandy, but it’s probably not helping your organization. Managing a stereotype limits employees and their managers to buzzwords and problems that other people have diagnosed. You can do better than that, HR. 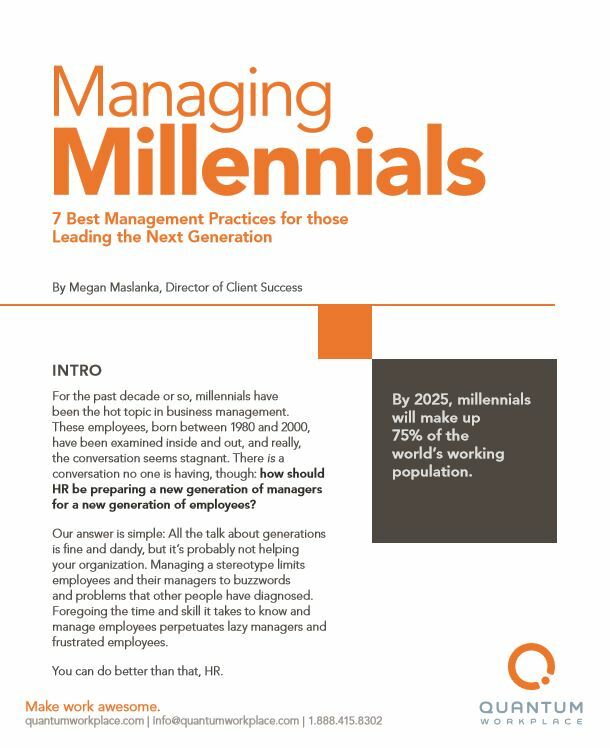 Join Megan Maslanka, Director of Client Success at Quantum Workplace, as she examines common millennial management practices – and sees whether they hold any water.